Hi Spec Trailer Wheels - Circle Track Supply, Inc.
HiSpec® Wheel & Tire,Inc. "HWT" was founded in 1995 as a distributor of aluminum wheel and tire products to the U.S. Recreational Vehicle Industry. Located in Elkhart, IN, the center of the RV Industry. The industries that HWT serve include: Recreational Vehicles Marine Cargo trailer Specialty trailer HWT prides itself on bringing expert knowledge to an industry that is continually searching for new and safer products. HWT is committed to working very closely with both our supplier and customer partners to strengthen their positions for growth in their respective industries. 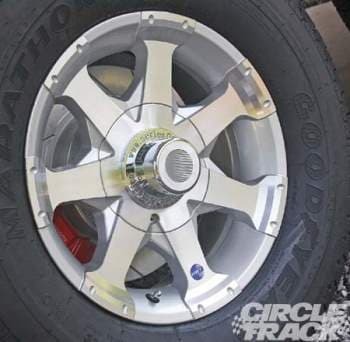 HWT was the first to bring 12" to 16" aluminum wheels specifically designed for trailer and RV applications. HiSpec SERIES 03 14" Thru 16" Aluminum Modular Trailer Wheel. HiSpec SERIES 04 STAR 14" Thru 16" Aluminum Trailer Wheel.